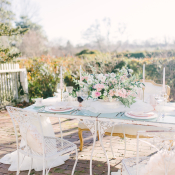 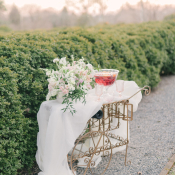 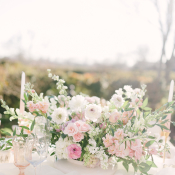 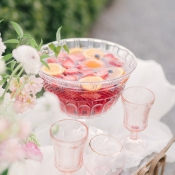 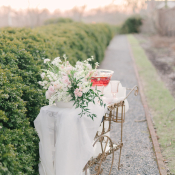 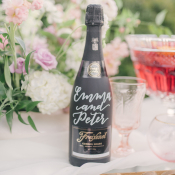 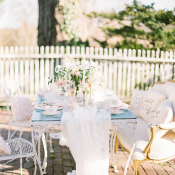 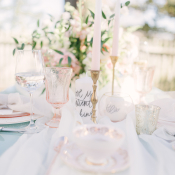 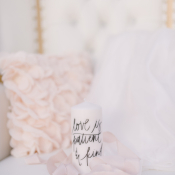 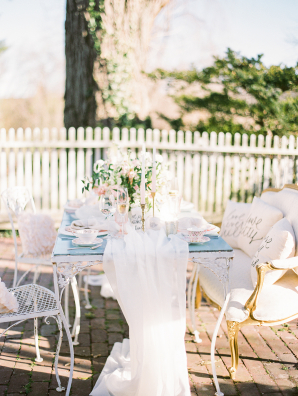 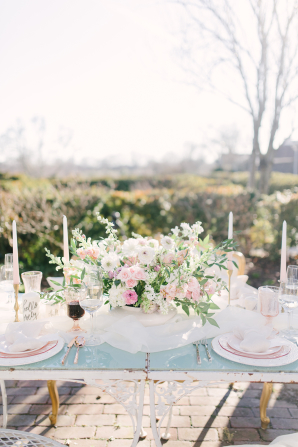 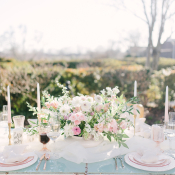 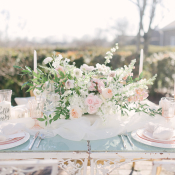 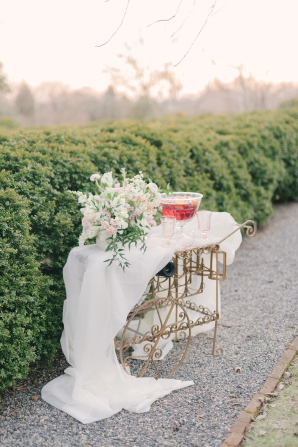 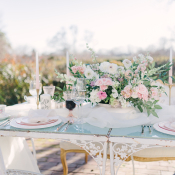 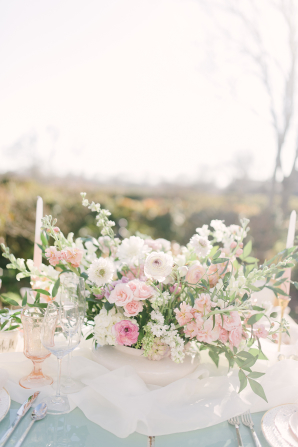 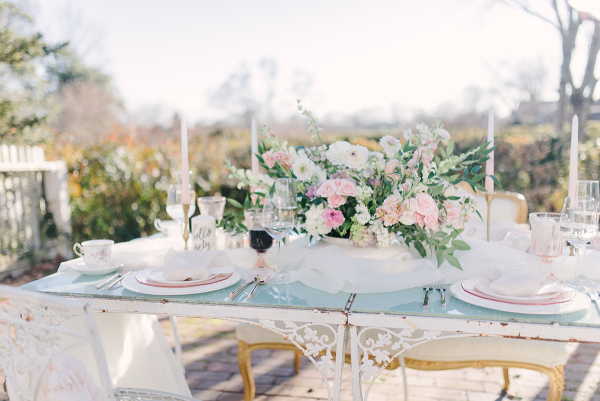 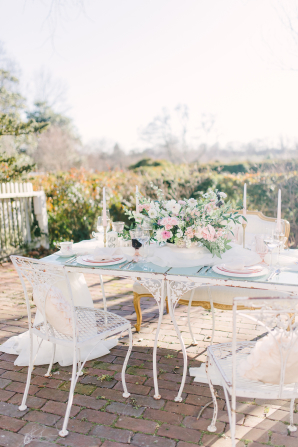 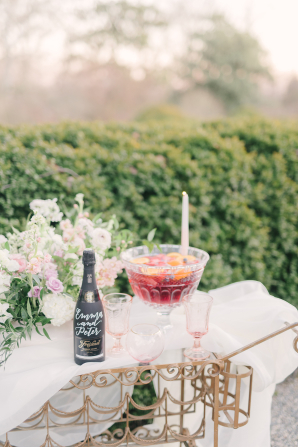 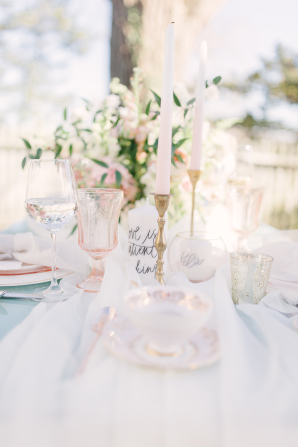 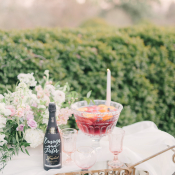 We couldn’t think of a more beautiful way to celebrate Valentine’s Day than with this dreamy and romantic bridal brunch inspiration from Infatuating Affairs and Erika Brown Photography! 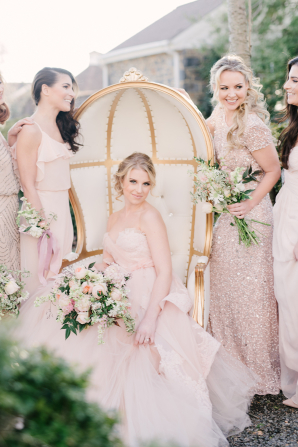 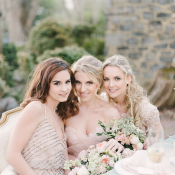 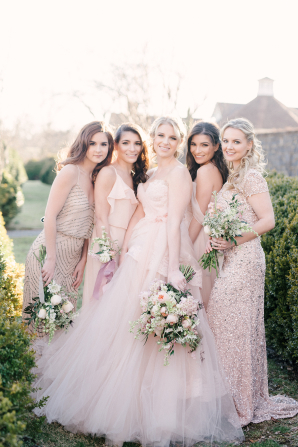 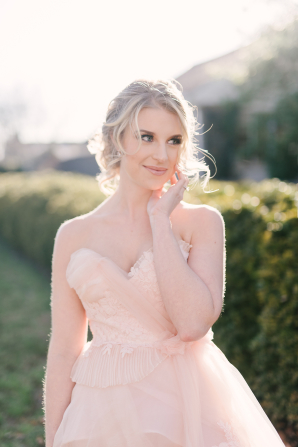 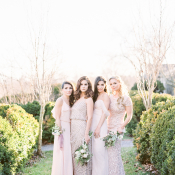 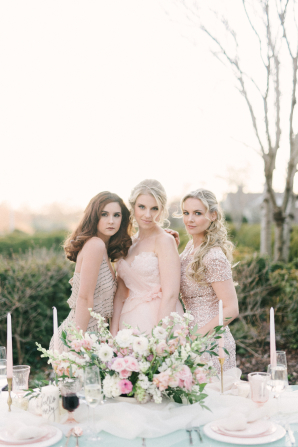 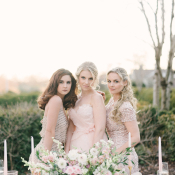 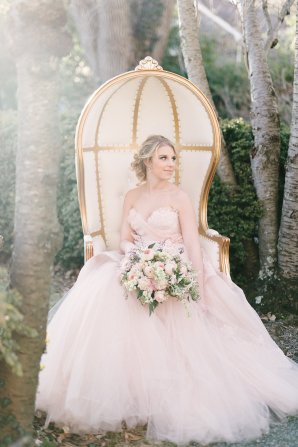 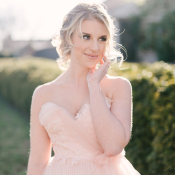 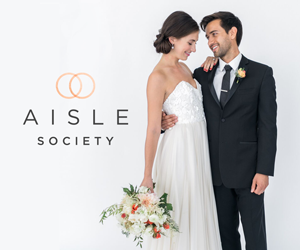 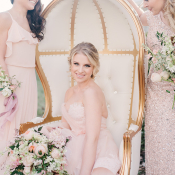 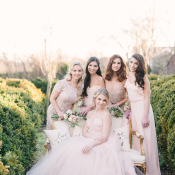 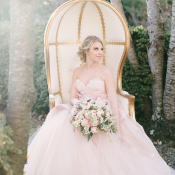 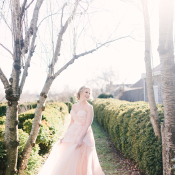 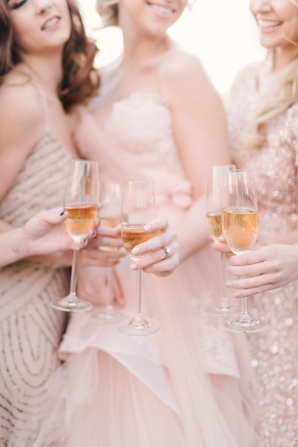 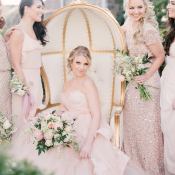 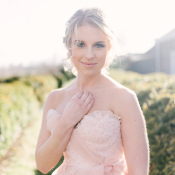 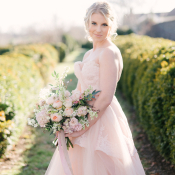 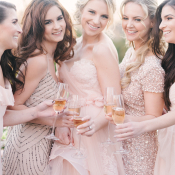 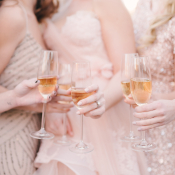 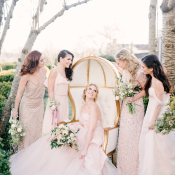 A gossamer blush gown from Claire La Faye takes center stage, with shimmering bridesmaids dresses in blush, champagne, and gold from Bella Bridesmaid accompanying, and lush florals in ivory and blush designed by Blossom & Vine. 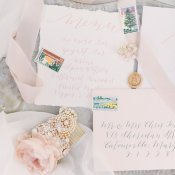 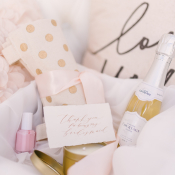 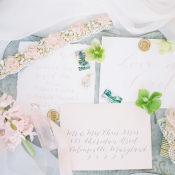 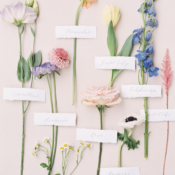 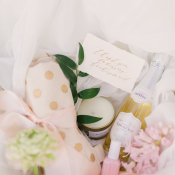 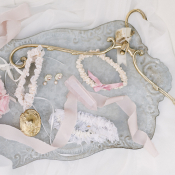 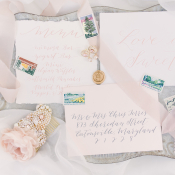 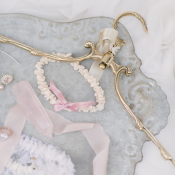 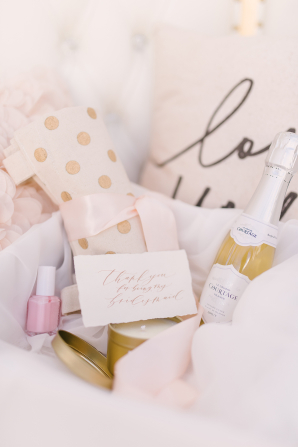 Sweet and intimate details abound, from the swaths of delicate calligraphy by Allison Dee Calligraphy to the thoughtfully-curated gift basket from Marigold & Grey. 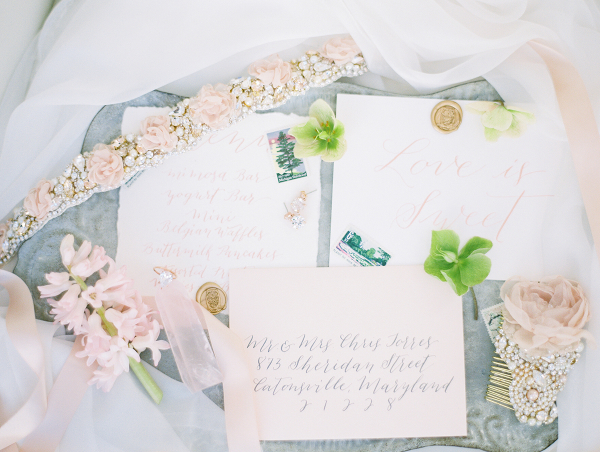 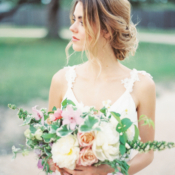 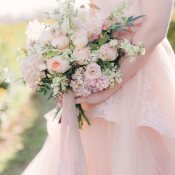 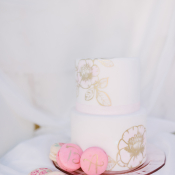 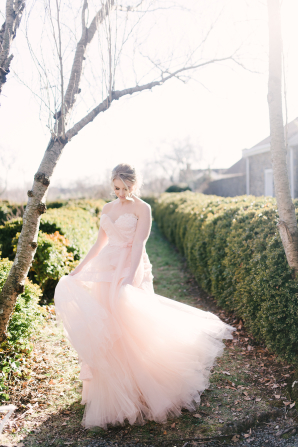 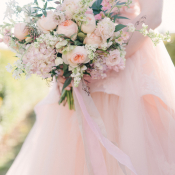 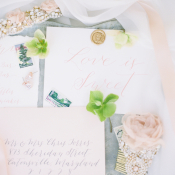 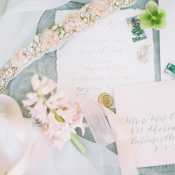 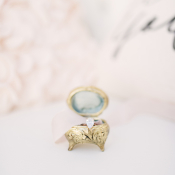 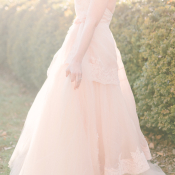 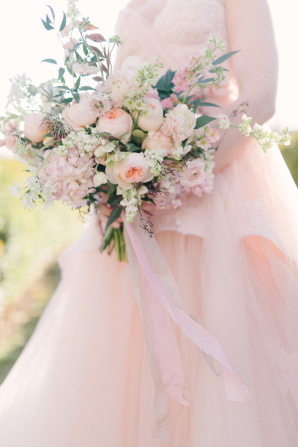 We are, as we should be on this special day, absolutely smitten by the work of Erika Brown Photography!